There’s no great significance in choosing this to begin with. Proximity is, I suppose, the main reason. 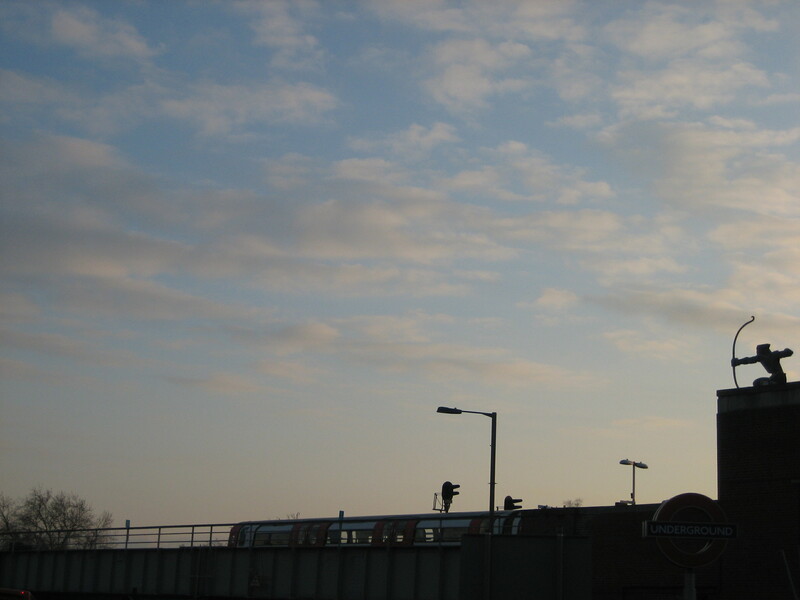 East Finchley station is a couple of stops southbound from where I live. 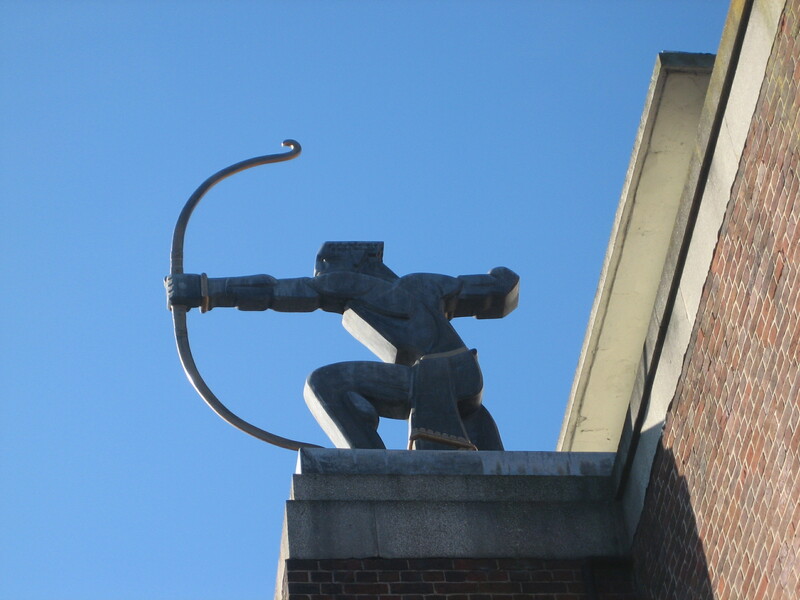 I travel through nearly every day and invariably catch a glimpse of the archer, though it’s not best seen from a passing train. 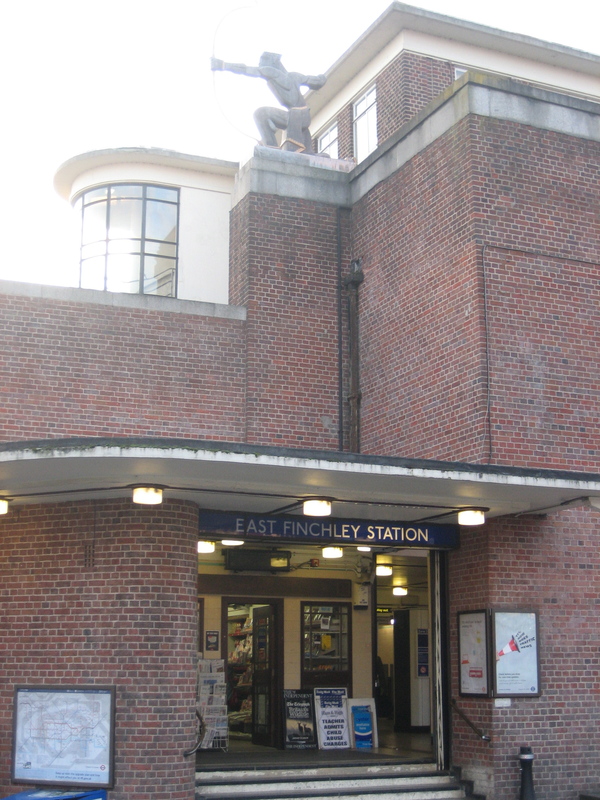 To fully appreciate its character and design you need to leave East Finchley station, turn around and look up, just above the main entrance. It’s the work of the sculptor Eric Aumonier (1899-1974) and is positioned so that you only see it on entering the station – in other words, on beginning your journey. In another non-coincidental touch, the implied trajectory of the archer’s arrow traces that of the line itself, about to dive underground into what was for a time the longest tunnel in the world: a little over 17 miles to Morden. It still is. It points the way down the line to the rest of the network and to London itself: home of some of Aumonier’s most famous creations, including similarly Art Deco sculptures inside the old Daily Express building, and a relief of the “South Wind” on the exterior of London Underground’s head office itself (of which more anon). Brilliantly sited, fantastically realised, impishly styled and enduringly relevant, the archer sums up pretty much everything worth celebrating about the Underground. Hmm. On reflection there is an awful amount of significance to picking this as the first of the 150. Also pointing in the direction of one of the southbound train’s next stops, Archway …a nice verbal pun to boot! Will you be publishing this as a book?